Yes, I said that right. 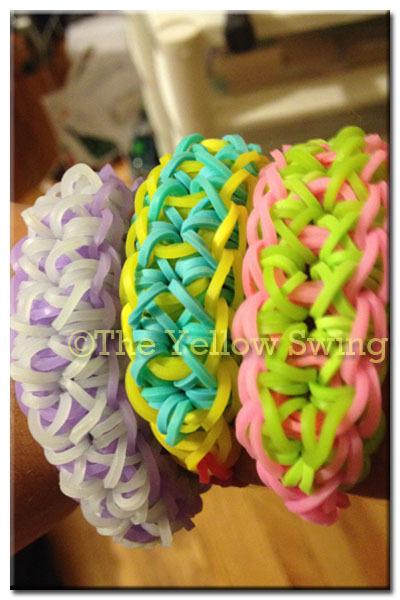 Lily has been making Loom bracelets like crazy. She has made personalized ones for people she knows and given them as gifts. She has even given some as gifts to people she doesn’t know. The lady who helped us with our recent shoe purchase was thanked by Lily with a Loom bracelet. Yes, she does sometimes act a little loony, but who is keeping tabs?